Fierce fighting near a town located to the northwest of the embattled city of Afrin was ongoing as the Turkish armed forces launched the second phase of operation Olive Branch, aimed at the elimination of Kurdish armed factions in northern Syria that Ankara considers to be terrorists. 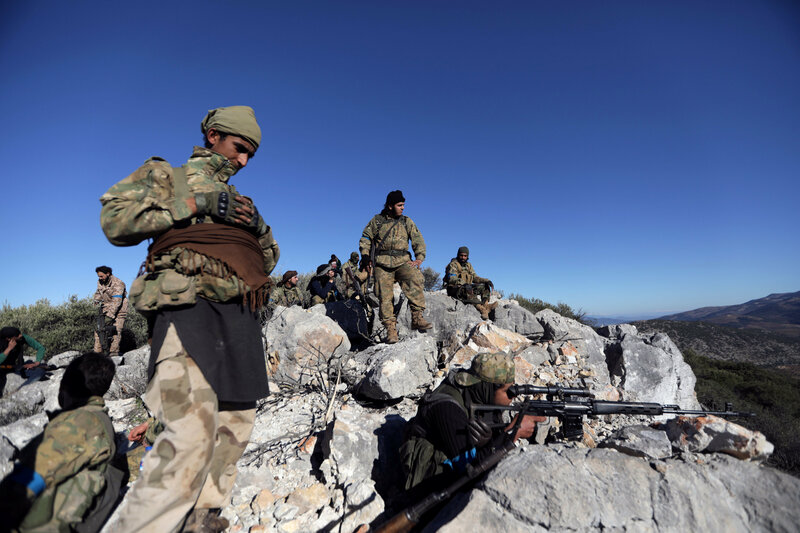 According to the Turkish news agency Anadolu, the Turkish army and an opposition group, the Free Syrian Army (FSA), have taken control of the town of Rajo. The forces have also reportedly captured the villages of Ramadiye and Hamilek to the south-west of Afrin during the offensive. The Turkish TV channel Haberturk reported earlier that the second stage of Ankara's Olive Branch military push was launched on Friday. The Turkish forces aim to clear the large settlements in the Afrin area from mostly-Kurdish forces they deem to be terrorists, according to the reports. The towns of Rajo and Jinders are considered to be of strategic importance for the success of the Turkish operation, as they are located on the major roads leading to Afrin. After gaining control of the city, the Turkish military and their allies are planning to encircle Afrin. The offensive comes after the UN Security Council unanimously passed Resolution 2401 calling on all parties to the conflict to stop fighting and adhere to a long-term humanitarian pause across the country in order to ensure the safe and unhindered delivery of humanitarian aid. The Turkish armed forces have been carrying out their offensive in Afrin since January 20, 2018, in order to "clear" the area near the Syrian border of the Kurdish fighters they consider terrorists. Ankara considers the PYD, a Kurdish political party in northern Syria, and the related YPG militia, to be associated with the Kurdistan Workers' Party (PKK), listed as a terrorist organization by Ankara. Damascus has strongly condemned the operation conducted by Turkey as an assault on the nation's sovereignty. Russia, in turn, has urged all parties to exercise restraint and called for respect for Syria's territorial integrity.